Our New Street Office for HMRC reached new heights when the topping out ceremony took place on 4 July 2018. This week we celebrated the official ‘Topping Out’ of the new UK Government hub planned for New Waverley, as the project reached a significant milestone. We would like to thank those who joined us in commemorating such an important day, as well as extend our gratitude to you all for your invaluable support throughout this exciting project. Upon completion, the new office hub will complete the cornerstone of New Waverley’s current development phase, which will see the high quality office space blend with restaurants, cafes and shops around the public plaza. 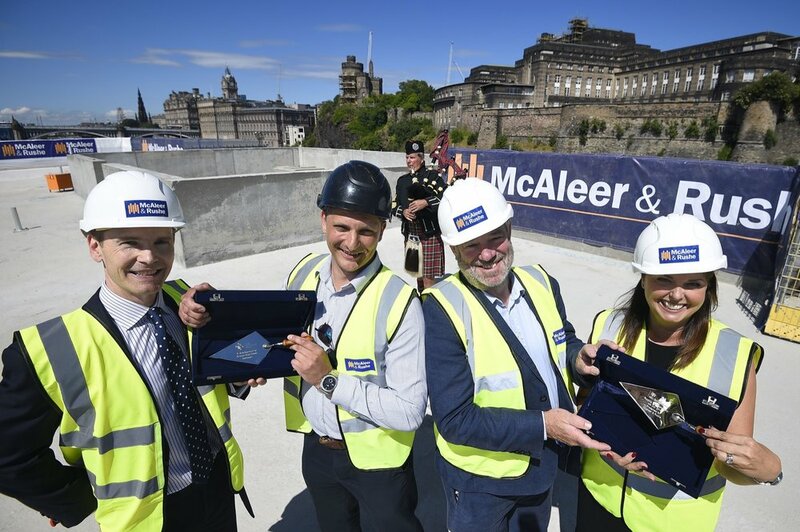 Artisan’s £200 million, 7.5 acre mixed-use scheme seamlessly links Waverley Station with the city’s iconic Royal Mile, forming part of the Old Town’s UNESCO World Heritage site. Photograph courtesy of New Waverley Ltd.
Jun 21 Boroughmuir High School gets RIAS & RIBA Awards!